Steven (Chicagoland, United States) on 29 September 2016 in Landscape & Rural and Portfolio. 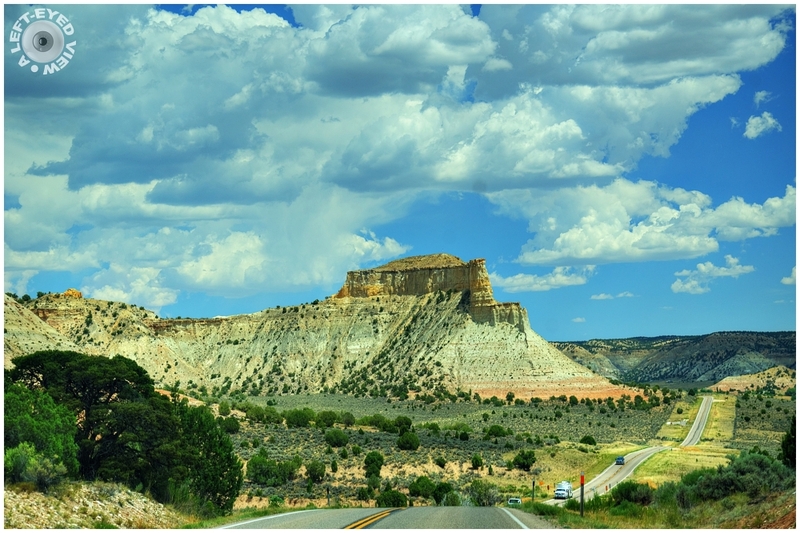 State Route 12 or Scenic Byway 12 (SR-12), also known as "Highway 12 — A Journey Through Time Scenic Byway", is a state highway designated an All-American Road located in Garfield County and Wayne County, Utah. Highway 12 is one of the most scenic highways in America, receiving the designation of 'All American Road' in 2002. Proceeding west to east for 122 miles, the highway starts south of Panguitch at an intersection with US-89, crosses part of Dixie National Forest and Bryce Canyon National Park, continues through the small towns of Tropic, Cannonville, and Henrieville. It crosses various parts of Grand Staircase-Escalante National Monument, continues northeast through Escalante and over the Escalante River, then north through more of Grand Staircase-Escalante National Monument, Boulder, the Aquarius Plateau, Grover, ending in Torreyat an intersection with SR-24, five miles west of Capitol Reef National Park. Photo captured July 24, 2016. Cette Route 12 est vraiment très belle à decouvrir ! Very beautiful composition of the road and spectacular landscape . Great shot, so spectacular ! So much to see in this image. Your series on this Highway is wonderful. You provide very good information on this area. That is a wavy road indeed but such a pretty one. I like that formation ahead. What a grand photo... a great shot of that long, long road too... very nice! Beautiful scenery & cloudy sky. A spectacular view! This is just gorgeous! Superb. The undulating road really makes it a wonderful image. That is a fun road! A gorgeous sky over an impressive butte. The road along the bottom and right provides nice scale and a reminder that not much is completely untouched by man. What a wonderful travel shot this makes . . ready for a poster, I think ! A fascinating picture and even better descripton of the scenic road. A very cinematic view.... Amazing view! This is the kind of drive I really enjoy. Perfect composition. Amazing composition and landscape. I like the ribbon effect of the wavy road.